This Sunday come and find me at my stall on Danbury Road bridge at the Angel Canal Festival. 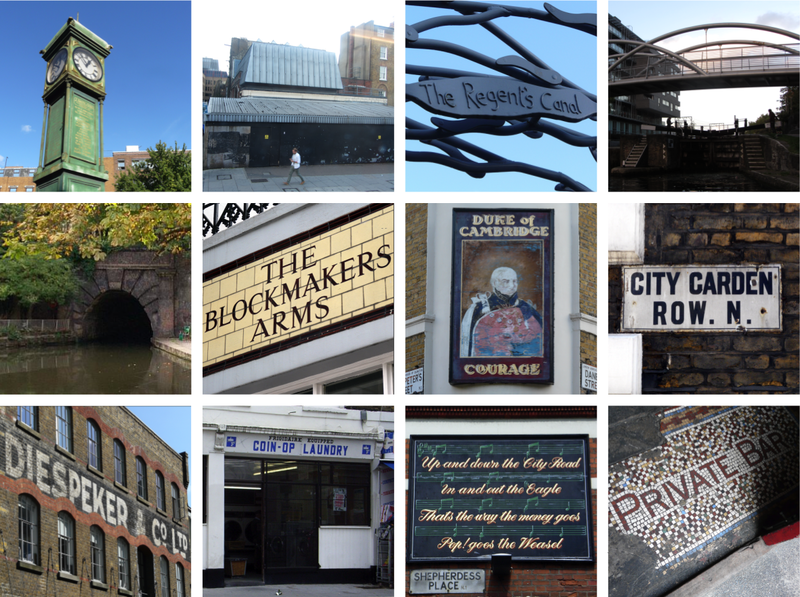 The event takes place around the the local streets bordering Regent's Canal, Graham Street Park and City Road Basin. Second row: City Road Basin where some large developments are being constructed at the moment. I am intrigued by 'Canaletto' as a choice of name as this rather infers he lived here. This is also the first time I have seen the use of the phrase 'limited edition' in this sense. Lexicon is the name given to the huge tower being constructed next door. Lexicon means 'a wordbook or dictionary' or 'the vocabulary of a certain language'. I can think of lots of word to describe it in a very colourful language.